Waterside restaurants are SO Sydney. Here are our top 15. From Palm Beach to Woolloomooloo, one thing’s for certain – Sydneysiders are blessed with an incredible array of seaside views. For the times when the sun is out, the water is glistening and a long, lavish meal is calling your name, look no further. Here are the very best waterside restaurants to check out in 2018. Retaining two hat status since 2004, Head Chef Giovanni Pilu and his team are certainly doing a thing or two right on Sydney’s Northern Beaches. Maybe it’s the impeccable Sardinian inspired menu. Or perhaps the waves crashing before you on Freshwater beach. Whatever the reason, if you haven’t yet dined at Pilu, put it on your foodie bucket list. Perched above the North Sydney Olympic Swimming Pool is this contemporary Italian restaurant. 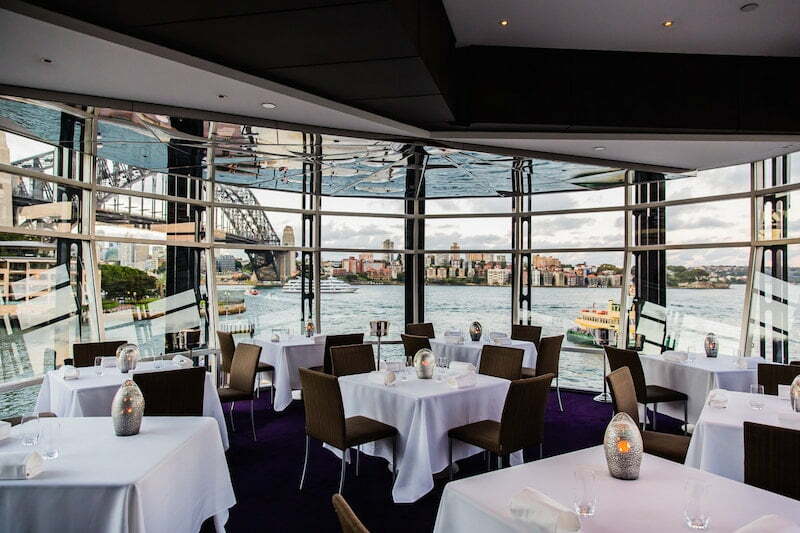 As far as waterside restaurants go, Aqua Dining has unrivalled views of Sydney Harbour. Request a seat on the outside balcony where the Harbour Bridge is literally right in front of you. 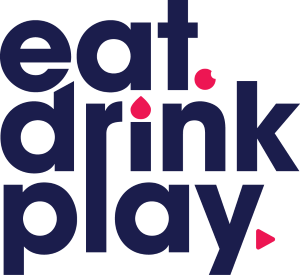 The menu is seasonal, with a strong focus on locally sourced ingredients and they make excellent cocktails. Don’t feel bad while you sip your drink and watch people swim laps. Bottoms up. 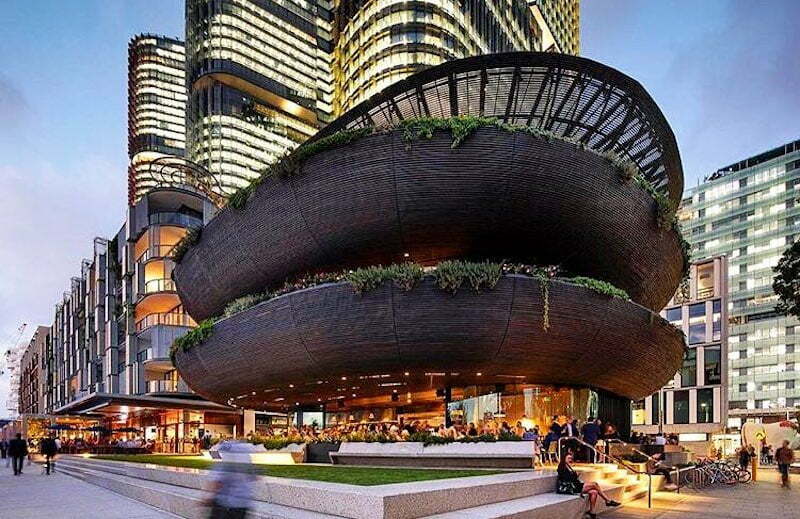 Barangaroo is now home to a raft of incredible waterside restaurants including Cirrus Dining. 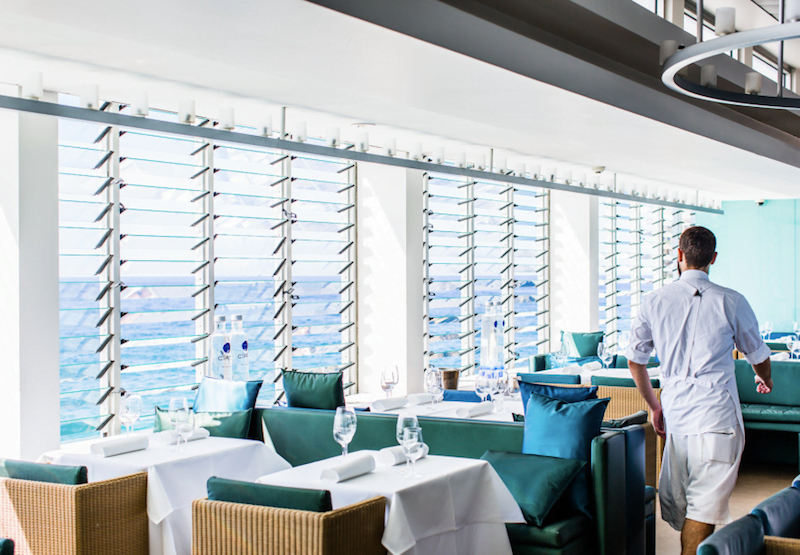 Here, Head Chef Brent Savage and Sommelier Nick Hildebrandt favour fresh, sustainably sourced seafood, with the fruits of the sea influencing the menu. 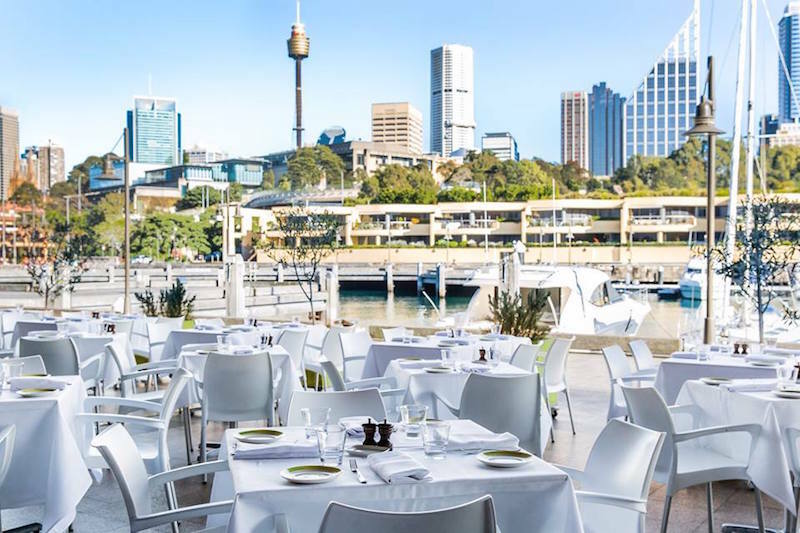 In between freshly shucked rock oysters, mud crab and grilled rock lobster, be sure to catch a glimpse of the stunning views across the northern end of Darling Harbour to Pyrmont and Goat Island. Could this be Sydney’s most Instagrammable location? Hoards of tourists and locals pop up in Bondi to capture a snap of Bondi Icebergs Club pools and the adjoining ocean. Who can blame them? Make the most of this oceanside view at Iceberg’s Dining Room where the Italian menu has everything from cured meats to seafood and handmade pasta available. Tucked away behind an inconspicuous boating dock (stay with us) is another restaurant that has been hatted since it first opened back in 2009. At the helm of Ormeggio is Executive Chef Alessandro Pavoni, who alongside his team produce incredible contemporary Italian and Spanish cuisine. As the sun glistens over Middle Harbour, sip on a Vermentino or a Pinot Grigio teamed with Ormeggio’s signature degustation menu. 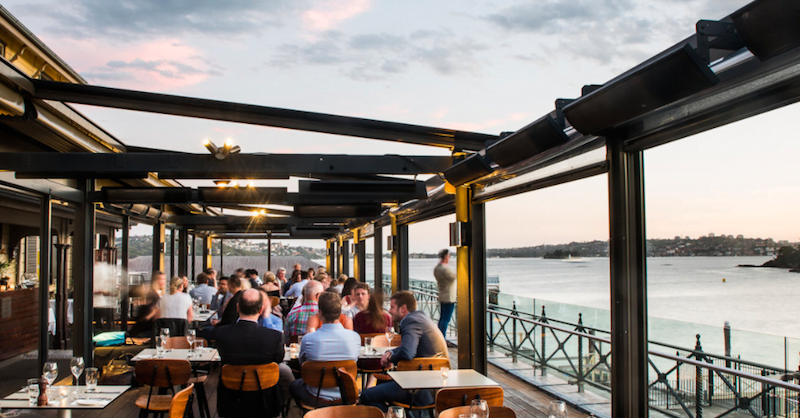 Not only is Quay one of the best restaurant’s in Australia, it also comes with some of the best waterside views of Sydney Harbour, with the Opera House and Harbour Bridge encompassing you. Head Chef Peter Gilmore delivers a unique dining experience, exploring harmonies of flavours and contrasts in textures. Once reserved for secret military operations to defend Sydney Harbour, Ripples Chowder Bay is situated on a particularly historic site. It’s also one of those beautiful waterside restaurants made for a long boozy lunch. With a contemporary Australian-inspired menu and BYO option, Ripples is certainly worth a visit. 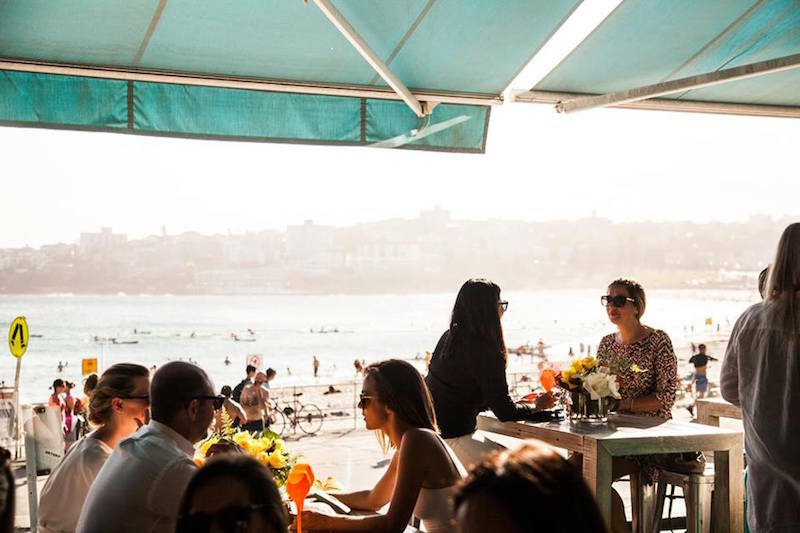 A few short strides from the iconic Bondi Beach is the relaxed eatery, North Bondi Fish. It is the perfect spot for dressing up and lavish long lunches or keeping it casual with a post-swim bite. Fresh seafood teamed with steaks, salads, sliders and more are on offer. Listen to the waves crashing in the background in between sips of your rosé and bites from your seafood platter. North Bondi Fish, 120 Ramsgate Avenue, North Bondi 2026. Open Monday to Friday 12pm – 12am, Saturday & Sunday 11.30am – 12am. Situated in Rose Bay, Catalina is a Sydney dining institution. Panoramic views of the Harbour? Tick. Top notch service? Tick. Luxurious seafood menu? Triple tick. Owners Michael and Judy McMahon have mastered the winning restaurant formula, and it seems nothing will slow them down. With a cocktail in hand, watch as the seaplanes glide across the water. The Boathouse Group began back in 2007 with their Palm Beach café (which also makes for a gorgeous waterside restaurant!). Since then, they’ve opened eateries in Balmoral and Shelly Beach. Yes, all three venues come with stunning seaside views, but we’re picking their Shelly Beach eatery as one of our top waterside restaurants. Why? Maybe it’s the dolphins that pay an occasional visit, or the relaxed oceanside vibes. Whether you’re there for a green juice and salad or a boozy Bollinger Champagne lunch, this venue is a total treat. This waterside restaurant opened its doors in July 2016, making it fairly new to the waterfront restaurants scene. Set on the beautiful grounds of Nielsen Park in Vaucluse, on any given sunny weekend you’ll find it bustling with picnics, birthdays, people sunbaking and giant inflatable toys. Not a frown in sight, this Harbour beach is an absolute gem. To read Ms Darlinghurst’s full review, you can click here. The Nielsen, Greycliffe Avenue, Nielsen Park, Vaucluse, NSW, 02 9337 7333 The restaurant is open for breakfast on Saturdays and Sundays and lunch & dinner 7 days/week. The Kiosk is open from 8am 7 days/week. 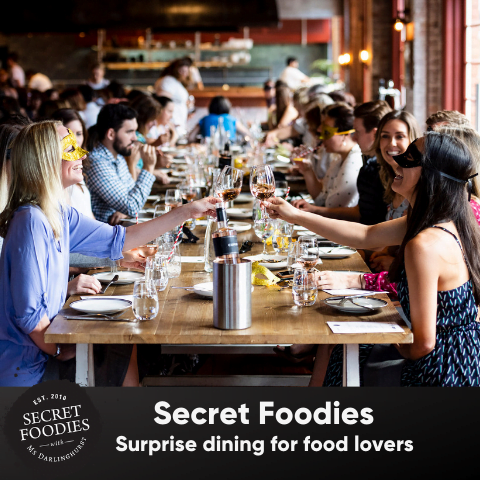 You’re truly spoilt for choice when it comes to waterfront restaurants at Woolloomooloo wharf. 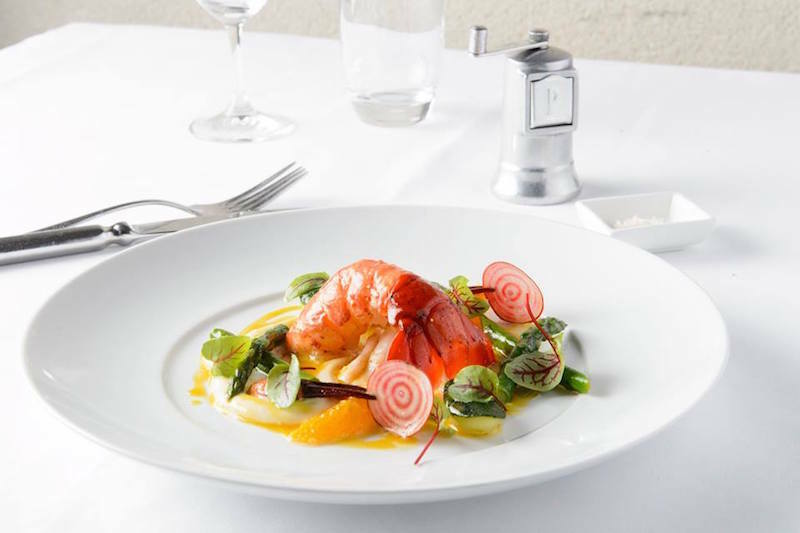 Situated about halfway along the wharf is one of Sydney’s most established restaurants. With a focus on contemporary Italian cuisine, Otto offers not only an a la carte menu, but a full vegan and vegetarian menu as well. Keeping your veggo and vegan friends happy has never been easier. Refined elegance meets relaxed beachside hangout at Bathers Pavilion. On any given sun soaked weekend, you’ll struggle to find a spare table, so make sure you book in advance. For $90pp, take your pick from the two course menu, or for $110pp, enjoy the full three-course experience. 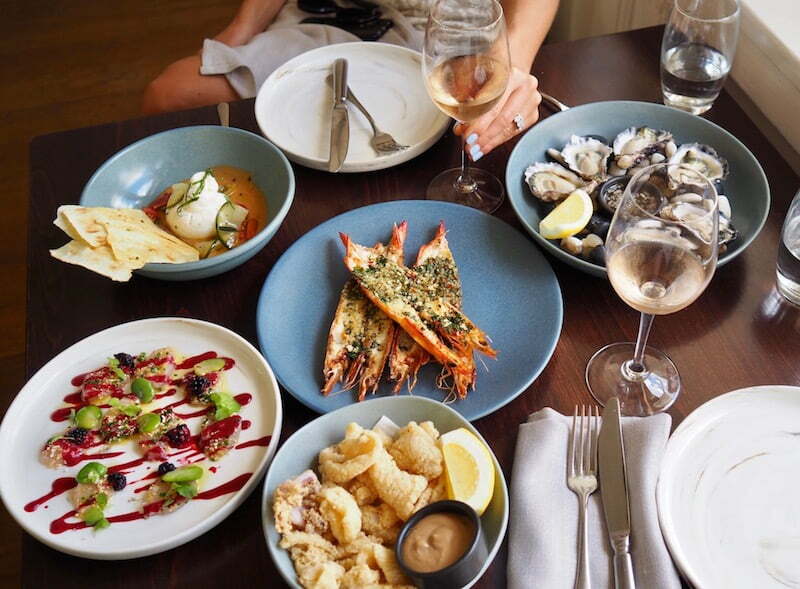 After much anticipation, Merivale’s The Collaroy at last opened its doors in May. 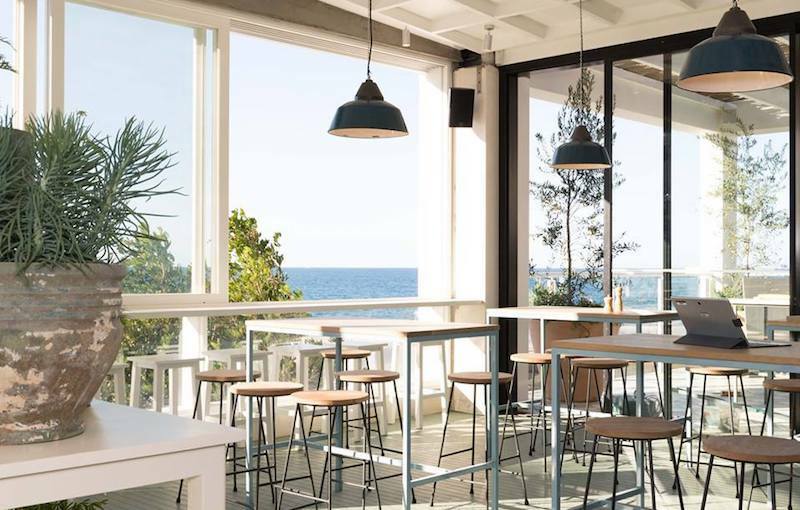 Providing a laid-back and relaxed hangout, The Collaroy takes much of its inspiration from its striking locale. In the words of Executive Chef Jordan Toft, the food is “simple, yet elegant food for a community that loves the sun, surf and sand”. Marking the flagship restaurant of the architecturally striking Barangaroo House, Bea strikes a fine balance between fine dining and casual restaurant and bar. Make the most of Barangaroo’s waterside views with an outdoor table, and fall in love with Executive Chef Cory Campbell’s masterfully created menu.